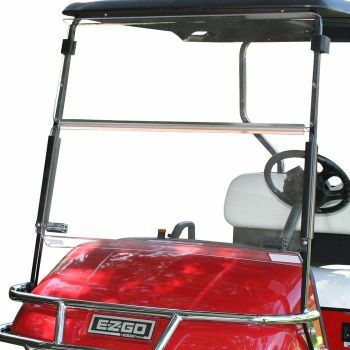 The Deluxe E-Z-GO TXT golf cart enclosure was designed to provide superior protection for you and your passengers during subpar weather conditions. This durable 3-sided enclosure will not stretch or shrink and is UV resistant. Pro-Fitparts.com has you "covered" with durable EZGO enclosures.